I hope you are doing well! It is hard to believe that we are already in the middle of November. 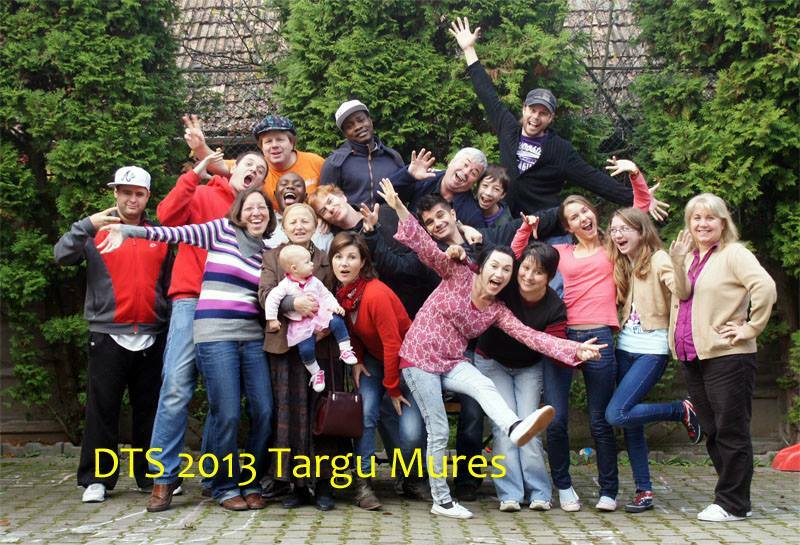 In this update I would like to share with you some of the many miracles that God has been doing lately here in Romania both in my life and also at the YWAM base that I am at here in Romania. 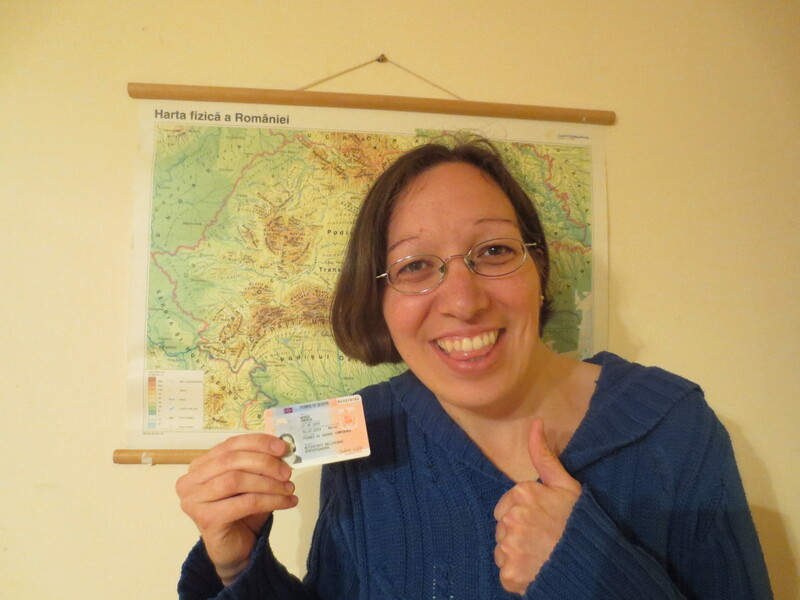 I got my Romania visa! I arrived in Romania on May 7th on a 90 day tourist visa which meant all of my papers had to be in the immigration office here in Târgu Mureş one month before my 90 days were up which was on July 6th. When I went to the immigration office on July 5th I was thrilled that I was able to get all of my papers done on time but unfortunately I had some complications with applying for my religious visa because my aviz paper from Bucharest was not done correctly so it got rejected and there was also an issue with getting my Romanian health insurance. I didn’t expect any of this to happen so it gave me a bit of a “panic attack” but I praise God how He did such an amazing miracle in this situation and how He turned all of this around in less than a week when I arrived back at the immigration office on July 10th with my file completely done with a new aviz paper and my health insurance problem got resolved. When I picked up my religious visa card on August 6th God gave me another huge surprise which was I got 2 years instead of just a year!! I got a flat mate! When I moved into my new apartment here in Târgu Mureş on May 14th and I found out that God had blessed me with a two rooms instead of just one it was on my heart to look for a girl share the apartment with. I honestly had no idea who to ask or where to look for a flat mate but I just prayed and believed that God would divinely provide the right person and especially someone who also loves cats and can help me take care of Minnie during my DTS at the YWAM base as well. 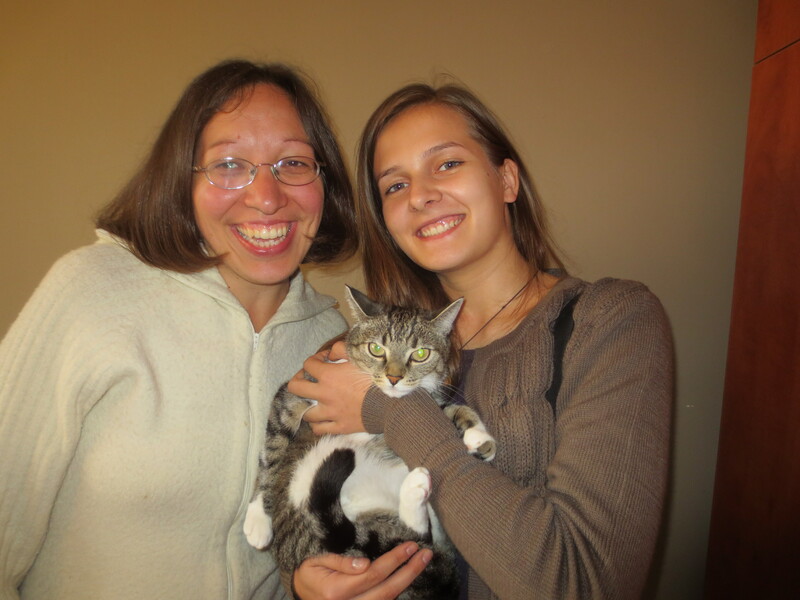 On July 30th I got the most amazing news from Florin who is one of my co-workers when he told me that he spoke to a Christian university girl from Vaslui, Romania who is interested in coming in the fall and staying in the room and she even loves cats too which is a miracle from God! On Monday September 23rd Miriam moved into my apartment and she has been such a blessing from God beyond what I could possibility put into words and Minnie my cat loves her too! YWAM now owns the building! I would like to share the miracle story with you of how God gave my YWAM directors the vision to buy a building. In the year 2008, God gave my directors and the full-time team at that time to buy a building that was previously owned by the Global Care mission organization. The staff moved into the building in February 2009 on a rent to own contract. They were able to negotiate the building to buy it at 285,000 Euros, they paid 160,000 Euros (through fundraising) and just last Friday on November 8th we got our final approval to get a bank loan for 125,000 Euros. I was truly blown away to see how God had brought 13,000 Euros in a week’s time at the end of the race! 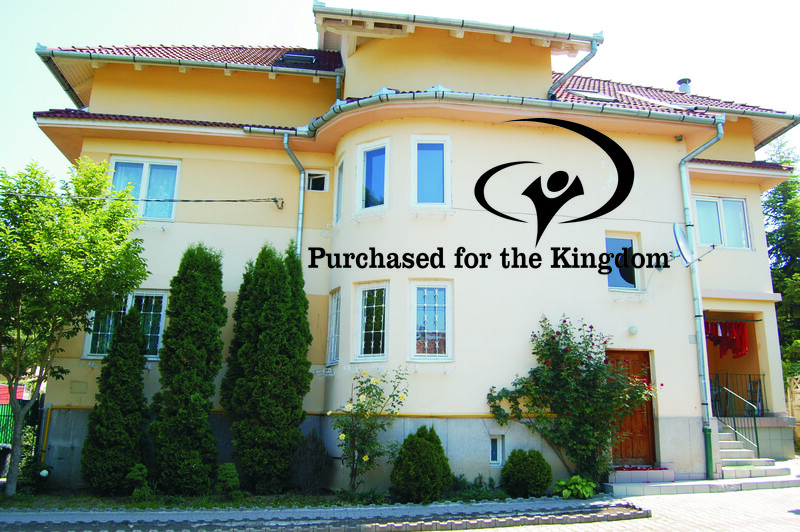 Now is the time we can all celebrate for this miracle that God has done here with the YWAM base in Târgu Mureş, Romania that has been purchased for the kingdom! On Tuesday September 24th I went from being a full-time volunteer staff at the YWAM base to being a full-time student at the base for the DTS which is a five month program with the first three months of lectures and the last two months of outreach. My class is quite small with only six students including myself but I believe that God has chosen each one of us to be in this class. I believe that it is a real blessing to see the diversity in our small group because there are five different nationalities in our class: Hungarian, Ukrainian, Swiss, American and Canadian with different ages and walks of life. I feel quite encouraged in my heart of how God has really brought a great sense of unity along us where we have become like family now which is a blessing from the Lord. We are now a little more than half way through in our three months lecture time. I am so very grateful for all of these teachings on the father heart of God, the Holy Spirit, missions, discovering our gifts, relationships, spiritual warfare, hearing God’s voice and the next four weeks we will have topics on worship, worldview, identity in Christ and the person, the work of Jesus and the cross. Every Wednesday we have local outreaches where we have been going to different Roma gypsy communities and different ministries to share the love of Jesus through music, testimonies and stories. We have also been to two different churches to minister there as a DTS ministry team as well. During this time all the students have mentors as well which is such a blessing from God. I am so very grateful to God of how He has been growing me during this season in my life and how He is also preparing me more for what He has ahead for me. It is a stretching time but it is totally worth it! • I praise God for all of the miracles that He has been doing in my life lately here in Romania! • I praise God for everything of how I’m growing during this time at my DTS with YWAM! • I praise God for all of the people that He has been putting in my life during this season! • For God to fill me with His divine peace during this time as I believe He has brought me into a time of a “waiting season” to prepare me for what He has ahead for me in the future. • For God to help us finalize all of the plans for my DTS two month outreach which will be from: Dec. 13 – Feb 14. The countries we are praying about are: Moldova, Ukraine, Hungary, Austria, Czech Republic and possibility Russia. Please pray for clarity and open doors for us. • For God to provide a cat-sitter for Minnie during the holidays: December 20th – January 3rd. I would like to thank-you for your continual encouragement and prayers! I appreciate it so much! In the States: YWAM Tyler – not until after I complete my DTS.